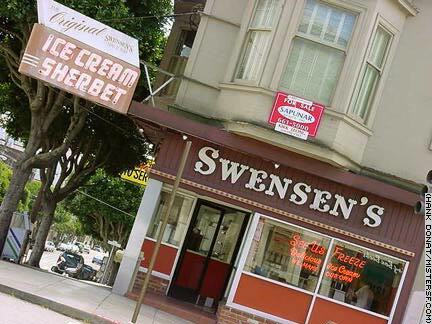 Since 1948, Swensen's Ice Cream Parlor has elicited squeals of delight from its patrons at the corner Hyde and Union streets. Kids like the place, too. This is one of Russian Hill's most enduring neighborhood institutions.